Fiit have partnered with BBC Good Food to give you 3 FREE 25-minute fitness classes to help you maximise the benefits of the Healthy Diet Plan. We’ve selected fitness classes suitable for beginners that can be done at home with no equipment. Each class is 25 minutes to fit easily into your day. Do these classes once a week to feel fitter, stronger and more flexible. Visit this page again on 25th June to find 3 more classes waiting for you. Remember, only take classes if you’re feeling well. If you’re not sure whether these classes are right for you, please check with your doctor. * You won’t see stats such as your heart rate, calories burned and reps live on screen without a Fiit device. 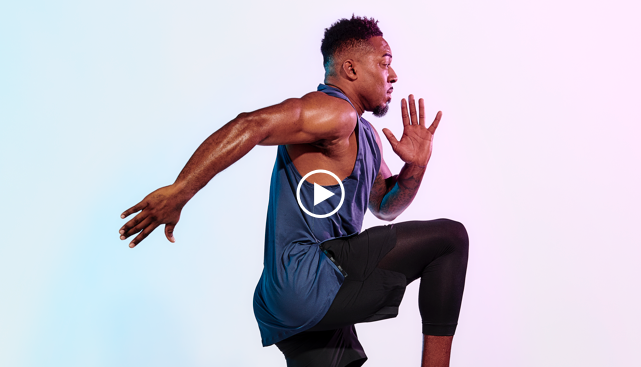 For the full connected experience, join Fiit. Details below. If you’ve just done a workout or are looking for a full body stretch, this relaxing sequence will release tightness and create more space in your body. If you’ve never worked out before or simply want a solid upper body workout, build strength and tone muscle in your arms, shoulders, chest and abs with Ty. Keep the energy high in this uplifting full body intervals class. Suitable for beginners but if you want to push yourself harder — go for it! Join Fiit to choose from 50+ classes and 14 trainers, see your stats live on-screen and track your progress for the ultimate motivation! From beginner to advanced, mix it up with 25 and 40 minute classes across our three studios. Get unlimited access to the world's best trainers from the convenience of your living room. If you're not addicted — get your money back.